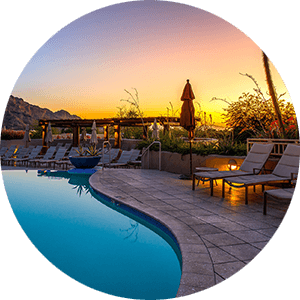 Desert Cedars is a smaller, family-oriented community with over 400 homes. The subdivision is located on the northeast corner of John Wayne Parkway / 347 Highway & Desert Cedars Drive. 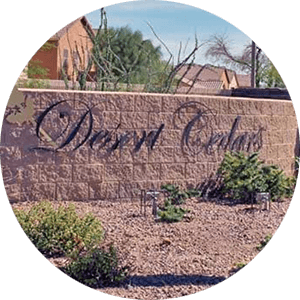 Desert Cedars is close to local schools, and is across from the Copper Sky Recreation Complex. The Alterra subdivision is located across Highway 347 from Desert Cedars. 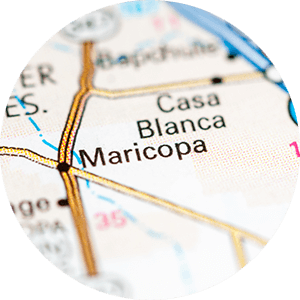 The subdivision houses over 1000 homes, and is located close to Maricopa High School and other local amenities. 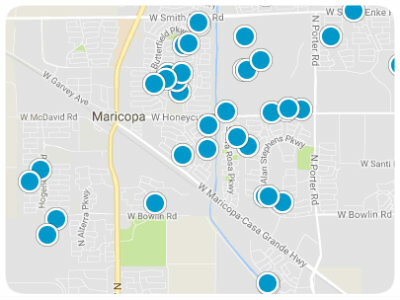 Maricopa Wells Middle School is located within Alterra, and the Maricopa Unified School District is within close range.